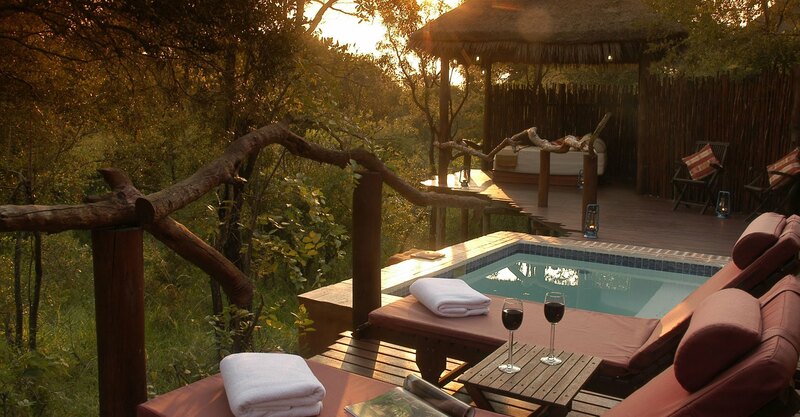 Thornybush Nature Reserve is 14,000 hectares of pristine African bush bordering Kruger National Park. The Big Five, as well as cheetah, smaller game and birds of prey can be encountered - experience abundant game at close quarters! There is a range of lodges and camps for all tastes and budgets. Set under a canopy of trees on the banks of the Monwana River, Shumbalala Game Lodge overlooks the riverbed and waterhole frequented by game. 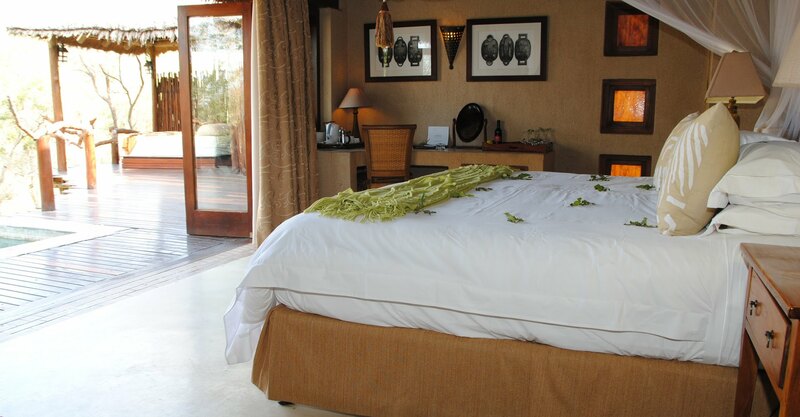 The size of the lodge ensures exclusivity and privacy. Spacious chalets all have a viewing deck, a picture window bathroom, and outdoors shower. The Presidential Suite has a private pool. 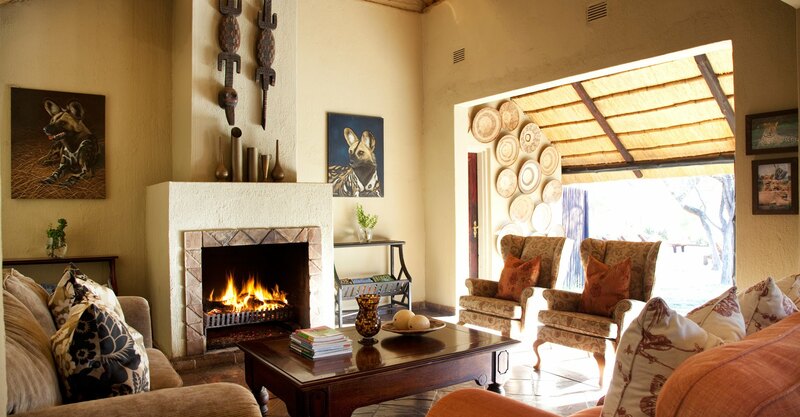 Excellent cuisine, open-air dinners and a selection of fine wine from the underground cellar overlooking the waterhole. 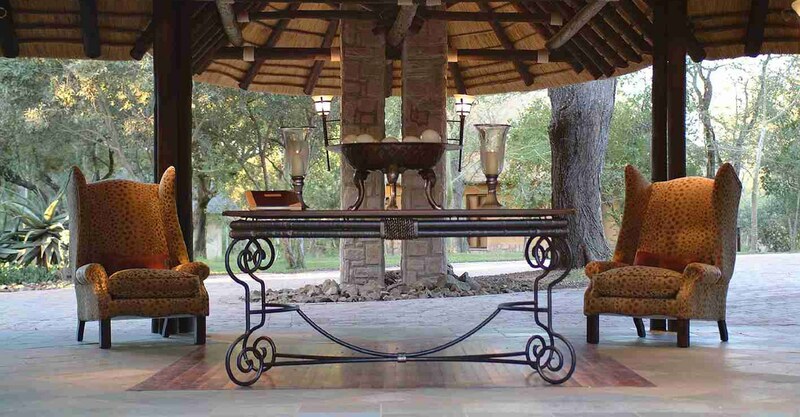 TGCSA 5-Star Lodge. 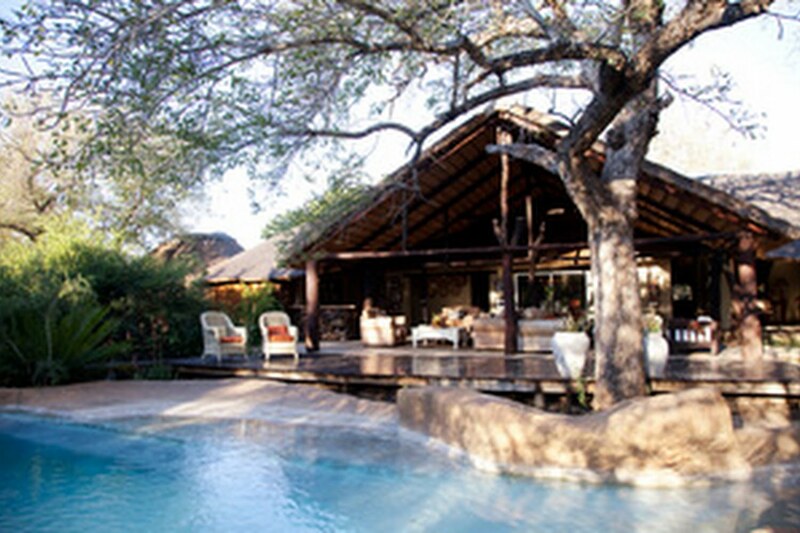 Simbambili Game Lodge is situated in the northern Sabi Sand Private Reserve (not in the Thornybush Reserve) on the banks of the seasonal Manyeleti River. The region boasts a high concentration of leopard and is famed for its regular big cat sightings, the abundance of general game and excellent birding. The 8 individual north African-styled thatched suites are sensitively placed on the banks of the riverbed, each with its own private plunge pool. 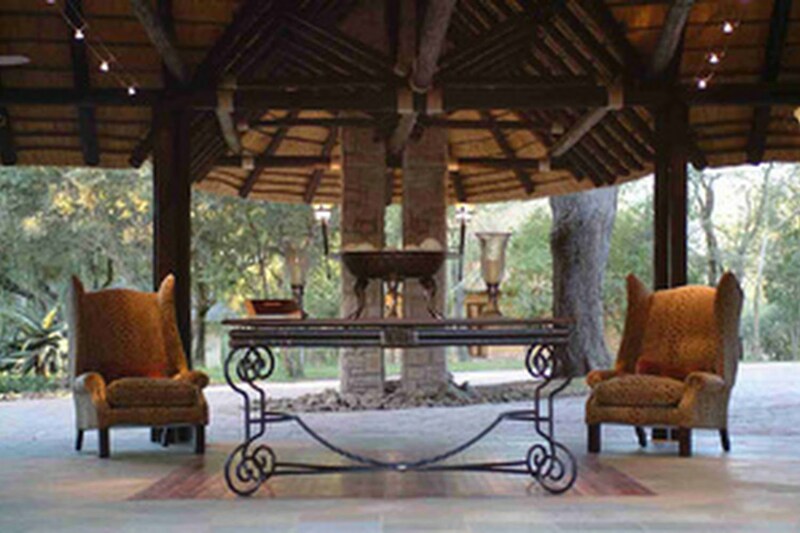 Chapungu Luxury Tented Camp is tastefully furnished in a Colonial style, creating a classic safari atmosphere. There are 8 tented rooms on wooden platforms, connected to the main building by secluded pathways. Each tent is air-conditioned, well furnished, with an en-suite bathroom that boasts inside showers with views and romantic outside baths. There are a further seven 4 and 5 star lodges in the Thornybush Collection, including an exclusive-use self-catering tented camp - there is something to suit every taste and budget. What a place to stay! Right by the waterfront with the most astonishing range of facilities and a service that is second to none in all aspects. A quite remarkable experience by any measure.